BLEAH indeed, Walky, BLEAH indeed. Sal has her pick of all the insufferably milquetoast boys! If you feel the need to ask other people permission to do stuff, make sure that person isn’t Mary. 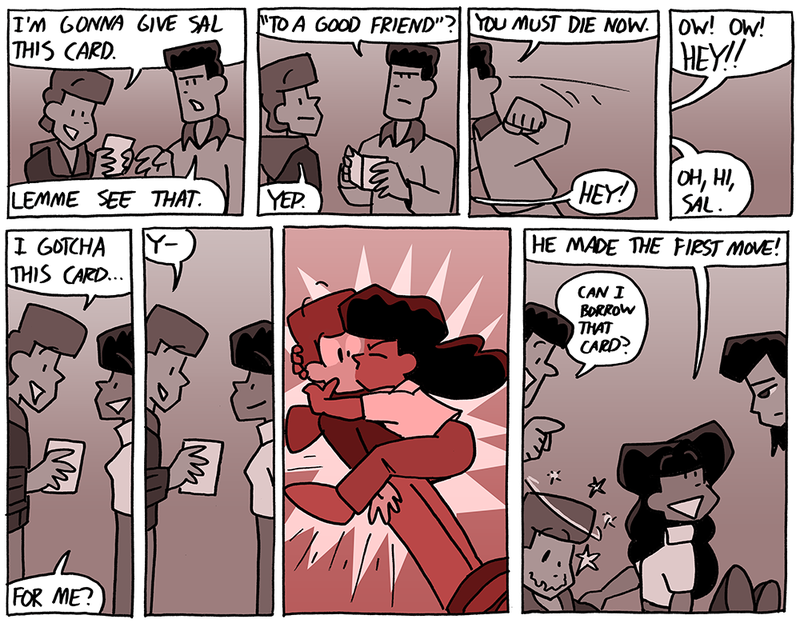 Sal can remember that last panel because she was hiding in the bushes, staring at them. Sal will continue to wear any number of incongruous objects on her head to prove how free-spirited she is!